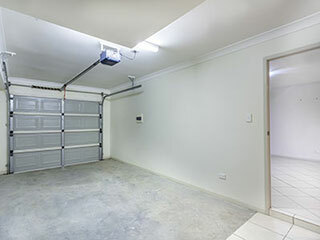 Garage door openers are more than the relatively small box people see hanging from their ceiling. They are the electric motor, which enables the automatic movement of their overhead door. Thanks to the power transmitted by electric operators the door opens, stops and continues to open with the press of a button. The opener lights turn on when the system is activated and the integrated reverse system would stop the door if there is an obstruction in its way. Modern openers can be activated from a great distance through internet and special devices designed by Liftmaster. Genie is another top opener manufacturer and all efforts made by such big brands are to increase security, convenience and safety. Garage Door Repair Eagan is aware of the crucial importance of electric openers as well as the importance that these openers will remain strong and safe in the future, too. It’s not accidental that the professionals of our business are all prepared to offer emergency garage door repair when the door seems to malfunction due to opener issues. Our specialized knowledge of all openers underlines our competence to take care of problems efficaciously. Whether you have Marantec opener issues or own Sears and Craftsman operating systems, you can be sure that we can inspect and troubleshoot them properly. We excel in garage door opener repair and our response is fast. The prime intention of Garage Door Repair Eagan is to make sure customers have the right openers. We work hard to repair and prevent future issues altogether. The right electric door operators will be those of the right motor power and at least the basic safety features. We enhance your safety by installing your new door operators with precision and attention to all regulations by UL 325. We prevent problems by servicing your Genie opener before it makes your life difficult. We excel in the maintenance of all types and brands of openers and guarantee safe operation with our exceptional work. Don't be hesitant if you have questions! Contact our company any time.